I just received the Muruga Murti I orderd from your company in the mail. Thank you so much for shipping it in such a timely manner, especially for an overseas order. I really commend you on the love and care with which you packaged it, and the beautiful energy that I felt it brought into my puja room showed me the depth of spiritual respect you had in storing it and shipping it. So I am writing to you back to express my gratitude for helping bring such a beautiful Muruga into my home... I feel especially blessed. Hi, I received the products, I have gifted them to my senior citizen parents, they are lovely.they liked the art work Thanks! Thank you very much for delivering my order very promptly and efficiently. I do a lot of online shopping and am happy to tell you I have not seen an order ever packed better than what you delivered. The order was very carefully packed to ensure the products are delivered in an excellent condition.I am more than satisfied with the quality of the products I ordered. All in all a fantastic site run by people who know what they are doing and care about the customer. If I have to score you on a scale of 10 you will be a 9 ,the next best are amazon but with a 7 At best. I feel proud that an Indian company can better both product and service standards that even large MNC e-retailers can't match. All the Best! Thank you. You have loyal customer in me. I received my embroidered single bedspreads today, thank you so much. They're so beautiful I can't think of selling them, they're staying right here, in my house! Wonderful service as always. I look forward to your having more available in the near future. I received both items in good condition today. Thank you for the Surya instruction. I am using the yantra as part of a larger puja so I have stored the information safely in the puja room. As I send you kind wishes for happiness may you do the same. Thanks a lot for the perfect Timing of shipment of my Order. I just received my Order in perfect condition. Thanks a lot and wish you all A Very Happy Akshya Tritya. Yesterday we received the beautiful Krishna and Mira bai statues. We were very impressed by both the statues and have placed in our Mandir room. I and my wife would like to thank you a lot for everything. We will continue to place more orders and will let all my friends know about DollsofIndia. I have received the Kathi dancing doll in perfect condition. The doll is darling and thank you so much. I look forward to your beautiful dolls of India. I have received the package and everything was in very good order. I like everything I bought from you and I will surely send you more orders when I'll need indian decorations again. Please keep up the good service! The package was delivered today! The paintings are beautiful. Thank you very much! Thank you so much Madhuri. We received our items yesterday and have been so thrilled since. The Radha Krishna statue is so gorgeous and good things have been happening since. This is one of the parcels that we really look forward to from India. I have received my order. It's a superb product.Thanks for the super fast shipping & excellent packaging. I am really pleased the way you do business. Today I receive the two kashmere shawls. Thank you. A will tell all my freinds and I will buy from you every time i need. I have received the package this morning GMT. I am extremely happy with the products you have sent me. Thank you so much. I have also read your doll-making story and it is very inspiring. This is a very good business of yours. Jai Sri Krsna! I received the package today! The little Krsna kurta and dhoti are amazing!! Thank u very much for the good service! The doll arrived a few days ago. I am so happy with my purchase and I was so surprised that it arrived so quickly. Thank you very much. Thank you for the care with which you packaged my order. Everything looks just fine. I especially like the metal wall hanging Ganesha. Have a lovely day. I received this package today as promised. I was very impressed with the packaging... it was so very well done that it was very difficult for me to open it:) .. thanks for the prompt followup about the delay and expedited shipping to compensate the delay in shipping out the product..very impressive service.. I received my beautiful poster, safe and sound... Thanks so much. It is lovely. I just wanted to thank you for my order of meenakari jewellery. It arrived, vert nicely packed and all the jewellery is delightful. My order arrived today in good condition. The statue is excellent!!!! My wife and I love it very much. Thank you. I just wanted to thank you cause your so beautiful and cared items you sent me. I receveid evrything in a very good conditions. I really thyank you and your shop. Best regards from Italy. I just wanted to thank you for your order. I ordered two times from you and I am very satisfied and happy with your service. I hope you keep your quality of service and treatment to customers always, it is a rare quality nowadays. I really appreciate that you checked the items as gift. Whenever I have to buy anything, I will always buy from you. Keep up the good work. Thank you for the order received it today. Was a very beautiful piece. Was wrapped very securely. Thanks once again and was a pleasure doing business with you. I did receive the package. It looked like such care had been taken to prepare the package that I hesitated to open it. 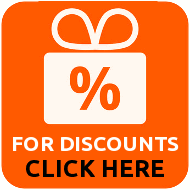 I haven�t used it yet but I�m sure I will enjoy it. This is just to inform you that I have received my ordered wall hanging yesterday and it was well packed and in perfect condition. Devi Durga was done very nicely. Looks good. Thanks a lot and hope to have more success in your business. In future I may do more business with your company and would suggest my friends and relatives. Good day. I am very glad to inform you that I have received my order just now. Thank you for your prompt service. The packaging is excellent. I really love the details you have incorporated while packing the order. I am extremely happy about my purchase, and I hope to remain a regular customer at your shopping site. Received my order last night. Love all the items and was impressed at the awesome packing! Everything arrived here in US intact. Thank you, I will be ordering again! Today morning I received the consignment. I thank you very much for the prompt delivery and also the way you have packed the calendars. Thank you so much for everything. The articles are beyond beautiful. We love the items just so much. We admire all of your consistency, commitment and dedication to preserving what is our heritage. The Ganesh statue was very well packaged, so it was not damaged in any way. And it is very beautiful! Needless to say, I am definitely pleased with my purchase. Thanks for the note...I collected the merchandise already. I should say this about the order: 1 Excellent merchandise with fine workmanship. 2 Extremely well packed to prevent damage during shipment. 3 Follow thru to completion. Well done.. your business model of order-to-delivery is flawless. Don't change a thing. I got all the packages and I'm really impressed with just about everything! You and your team did a fantastic job with packing my order. I'm very impressed. Thanks for the splendid customer service. I am really impressed by the quick response and service recovery. I truly appreciate it. I am fond of the products found in Dolls of India. Please keep the good work up. Hi Ms.Maduri, amazing costume dolls and great work.I can see how much time and work must have gone into each piece.I ordered few online recently and I received them yesterday.I was very happy with the quality and they are really cute. My order was received today, several days ahead of expected. I couldn't be happier with the product. My order just arrived. Good packing and good products. The Garlands are superrrrrrb. Best place to buy kurtas online! Fine selection of books and murtis, and so much to browse, thank you! Dolls of India is a pure delight to deal with! Each time I receive a shipment, I am astounded by the beautiful packaging and care that is taken to ensure each item arrives in perfect condition. Thank you for all that you do! Thank you very much, today i have received my order.Jewellery are lovely! I�d just like to advise that I received my order in the mail today. There is no doubt that all the items I purchased look fantastic. This is such a wonderful site, and I plan to make more purchases in the future here. Thank you so much. I received my order yesterday and the dolls are really beautiful. Thanks for your website. A Happy Customer. I am delighted with the high quality ghee lamps Dolls of India provides. Thank you very much! We have received the package. Thank you very much. The bangles are lovely. I received my jewelry today, and i love it! Thank you so much I look forward to my next purchase! I have just received my order. It is wonderful and very well packaged. I received the second box today!!!! thank you so much for your wonderful products. I just wanted to say thank you so very much for sending my order through. Everything was so nicely packed, nothing got damaged. My dolls are gorgeous, they remind me of Sridevi!!! I am definitely addicted to shopping on your site and don�t understand why I left it till so late. The paintings are breathtakingly beautiful and the choices are endless. Love your work!!! I am very pleased with the quality of the beadwork. I was also happy with how carefully it was packaged. Thank you. Thanks.. I have received my items. All were in perfect condition. I also hope to deal with you soon.. Thanks again.. I have received today my order. Wonderful paintings and good quality. Perfect packing AND thanks a lot for VERY GOOD SERVICE!. Thanks very much! Your service is excellent! I received my items yesterday and I am very pleased with my purchase. Thank you again. The Nataraj arrived today, and we are very, very happy. It is a very beautiful piece. And we are also completely impressed with the solid almost impenetrable packing....please pass our compliments to your warehouse staff. Thank you. We have received the bronze articles. They are absolutely stunning to gorgeous! Thank you so much again and thank you for keeping us informed. It has been truly a pleasure being involved in business with you and we look forward to more with the dazzling array of beautiful items on DOI. Thanks again. Much appreciated. Warm regards always. Thankyou Madhuri am extremely pleased with ypur services.just picked up the package and am really impressed with the way it was shiped and handled. The saree is just what I had been looking for the past 25 years or more since I wanted to replace this with what my mother had 47 years ago. So a very big thankyou and will be definetely be buying from you again have already put a lot of friends on the list. Recently sent for a durga maa wall plaque. It has arrived safely after just one week.It is very beautiful and was extremely well wrapped for the journey here! Will definitely be making more orders from this amazing website. Thanks from Kath. Thank you so much for enabling us to obtain very beautiful Indian arts and crafts selections from Dolls of India. Today, we received the brass Lord Krishna statue. It is beyond beautiful. We are absolutely delighted. The packaging is exceptional especially since religious articles are being shipped transcontinentally. We love shopping with you. Thank you so much. i love this location i love every things in this location, realy very very niceeeeeeeeeee products. I'm happy to report I have finally received the Shri Radha-Krishna doll a few days ago and it is in perfect condition and it is beautiful! I am so happy to have received this beautiful murthy which is going on our home altar. I received my package and the statue and books are wonderful. I will definitely recommend your store to family and friends. MY ORDER ARRIVED TODAY. ITS A VERY NICE PEICE, AND I LIKE IT VERY MUCH. I have purchased lovely Radha Krishna posters from you. I'd like to express my sincere appreciation, for these items have enhanced my life and made me feel as though I am not so far away from my home in Rajasthan while I am working in other countries. I would like to contact you about ordering some statues and puja supplies. Your site is beautiful and is a great spiritual inspiration to all aspirants. I received the package of two sarees and two caps yesterday. They are nice as expected from Dolls of India. Dear dolls of India...Wanted to let you know that the shipment was received and the items are lovely! Looking forward to doing more business with you in the future. I love all the products you are selling in this website. Infact I am a fan of your website now.Everyday I spend atleast 3 hrs viewing your products. I like many items, especially the papier mache items & hand painted stone eggs, and Wrought Iron products. Kindly let me know if you have some more of these items in stock. Thank you for the great service and business you are doing to spread our culture worldwide. You have so many beautiful things at your website that it is hard to pick just one. Information at website is also very helpful. I just want to let you know I received my order safe and sound. I really want to appreciate the packing. Very well packed. I am so pleased to see the painting so much protected. I HAVE GOT THE NICE DOLLS I ORDERED. I LIKE THEM VERY MUCH. THEY ARE VERY WELL MADE AND DECORATIVE. THEY ARE GOOD TO DISPLAY. Thank you so much for your prompt reply to my email. I will certainly continue to shop at your website, as I have enjoyed your unique products ever since we returned from a trip to India. It is difficult to find such items where we live, so I appreciate your store and your excellent customer service. My order arrived on Dec15. Glitter Paintings are very beautiful under lamp or sun ray. My order came in , thank you, I love everything I've got from you, I'll be doing more business with you soon thank you again. Just wanted to let you know that we have received the Saree. The Saree is very beautiful. Thank you for the parcel, we received it yesterday. The Couple is gorgeous! Thank you so much! The dolls i bought from you are very well made and i am more than pleased with them, they are nicer than i expected. We have today received the two dancing dolls, thank you. They are lovely and we are very pleased with them. Thank you for all the items you sent me. They are all beautiful. I really love the madhubani saree. This afternoon I have received my order and very thing is very nice. I am every thankful to you for your wonderful customer care and very prompt shipment. i am really glad for my shopping with you. Hope see you soon again. I received this morning my so beautiful mangalsutra and I want to thank you a lot. It is GORGEOUS, I'm really very happy. The quality is exceptionnal and your service is perfect. I love indian culture and you're website is so great that I'll shop again and again in the future. Many many thanks... Your service is really unsurpassed, all my congratulations...Warmest regards from your new french customer from Paris. MY NICE POSTERS HAVE ARRIVED, I AM PLEASED WITH THEM. I got the package today and thank you for the lovely stole. I really like it a lot. Thanks again for the stole. Hello. I received my large order in the mail safely and everything was in good condition. Thank you for your response. i did receive the package and the painting is lovely. Your kurta are very beutiful. Wish to Thank You,received my order and I\'am very pleased. Great communication fast shipping ! and love the items I selected. plan to place a large order. Thank You. you got great pictures, thanks. My order arrived on Tuesday, and I am thrilled with everything. Thanks so much for providing such lovely jewelry and artwork. As an American, I have never had a chance to purchase similar items outside of a recent trip to India. It finally arrived yesterday safe and sound. Very beautiful necklace, love it! Thank you for your concern. Kind regards. This is a wonderful website! Thank you for offering your services to the US! Love your earrings, absolutely exquisite. Thanks. I just want to say how impressed I was with your service, I received the vibhuti powder on the day you sent the email. Thank you again, I will be ordering again soon. The item was received and is in excellent condition. I am pleased with your services and product. Thank you. I received yesterday the parcel. Thank you so much. I am happy with the articles. I will soon order more articles, especially the dupatta was so nice. Thank you. The saree package that you mailed, arrived today an hour ago. Everything is fine (the saree, blouse, and petticoat). Thank you very much. I received a package from Dolls of India. Thank you for yourprofessionalism and quick responses to customers. Your services and products are wonderful. Thank you! I received my order. The packaging was very nice. I appreciate your service. Hello: We have always been pleased with our purchases. Thank you. I got my parcel today morning. The item is fine and very nice. I like it so much. Thanks and see you soon. Thank you so much for your prompt response. I do love the Shiva Linga and painting I purchased from Dolls of India and I will continue as a customer of your wonderful products in the future. I received this order today, and am very pleased with both items, as I have been with everything I have ordered from you. Thank you, and all the best. While I was browsing your site I foud your web page....It is really nice and beautiful. My order arrived yesterday. I am extremely pleased by the quality of the items and the service provided. Thank you kindly. hello i received the posters. they are very beautiful. thank you very much. Thanks so much for everything. You are wonderful. i wish that i lived over where you guys are. we will be ordering from you again. You have the most beautiful Kali artwork I have seen anywhere! Got the posters -- thank you and thanks for packaging them so well -- very impressive. Thank you very much. I have received today the parcel and I like very much the paintings. I liked the web site,you have some most beautiful pantings. We received our parcel yesterday in perfect order, thank you very much! I received my order today and I\'m delighted with my purchases. Please give my thanks to all the staff, the garments are perfect and manufactured to a very high standard. I received them on Dec. 27! I love them and will shop more often at your website. Thank you for the extreme care in packaging! Today I received my order of Kalamkari art and am very pleased with how quickly they arrived and their fine quality. I would strongly recommend your company and its products. Thank You very much for this wonderful product shree Lakshmi Charan Paduka. This is the exact item i had been looking for since ages and i am very grateful to find it here plus the pricing has been very reasonable which im really very appreciated! hope to see many more products coming in the future for us to purchase in the site of yours. Thankyou so much for the goods safely received. They are beautiful. I really enjoyed looking at your beautiful things! Very nice site and i was enjoy to see nice staff. I received The Posters today and They are so beautiful. Thank You Very Much for The Great Service and The Great Products. I Will most Certainly Buy More Products from you in the Future. I visited your site, its really interesting. Your package arrived yesterday, thank you. The sari is gorgeous (especially the pallu), and the choli fits (often a problem). And, the blouse and petticoat fabric is so nice and soft. Thank you for all of your hard work and for doing such a nice job. I am so glad i found your website,absolutely beautiful things. I received my order on 8/18/2009. I am most pleased with the quality of the item. I also appreciate the fact that you notified me when the item was shipping so I could watch for it. Thank you for a pleasant ordering experience with Dolls of India. Your website has a lot of beautiful things!! I am very glad with the silk paintings. I went on the other websites with paintings, but I prefer yours that look a bit more "traditionnal", and nicer. I just want to let you know that I really enjoyed your web site and again, thank you for your very distinguished services. We love doing business with you,it's so simple and you have wonderful collection. Thank you. Hello! I love this site, I just bought a Shiva wall hanging! I like all pictures on site. Its great collection. I like all pictures on site. Its great collection. i copied some of them. I was very, very happy with my former purchase from you. Looking forward to doing more business with you. I like all the paintings on this site,its really realistic. Fabulous website, great selection. Thank you! I find this site very clear end simple to use. And the stuff is very cheap. Thank you very much. The package arrived yesterday, and I picked it up from the post office today. The nice sari, blouse, and petticoat are nice. I have shopped with Dolls of India for some time now. I am pleased to say I have enjoyed doing business with you and found your customer service very helpful. Thank you very much indeed for the most beautyful silkpainting you have sent me. It arrived yesterday. I am fond of it. Thank you very much indeed for the most beautyful silkpainting you have sent me. It arrived yesterday... I am fond of it. Just a little note to say thank you for sending me my poster so quickly. I had actually received the poster last week and was absolutely thrilled with the prompt service and communication I received from your company informing me as and when it was despatched. This is to let you know that I received both the shipments this afternoon. The packaging was excellent. Thanks. I ordered both sets of the gold plated white bangles. They arrrived today and are so beautiful I immediately logged on your website to order more. I received my order today and I thank you for the efficient service you provide. I will recommend you and will not hesitate to shop with you again. Today I've got the package through the customs. The clothes are very beautiful. Your site is wonderful-the dolls are especially beautiful! Thank you, I got my pictures yesterday and they are amazing thank you again. It has been several months since my sari and choli arrived, and finally we have had several weeks of sari weather here in Seattle. I want to tell you that the sari I bought from you is by far my favorite. It is quite beautiful, stunning, and I get admiring comments from strangers every time I wear it. My friends who are interested in textiles admire it as well. And, the choli is pretty much a perfect fit. Thank you very much and namaste! I recently purchased a sari and it arrived in the mail today, together with the choli and petticoat, fully one week earlier than I had imagined. This sari is absolutely lovely - truly truly delightful. The pictures are fabulous but can\'t do it justice. The choli fits amazingly well. I am so glad I took the plunge and ordered from you. Now we just need some warm weather! Thank you for a beautiful item, your careful interpretation of my measurements, and the very speedy service! I have now received the very beautiful poster in absolutely pristine condition - your packaging is quite wonderful! I have entered your website in my Favourites and am sure that I will purchase other items from you in due course. I have just received your most beautiful necklace. The quality is most impressive, and your service is wonderful. This is a wonderful site! I am so delighted to have found you. I truly appreciated the way your site is set up and the beautiful products you are offering. Just want to say thank you for the BEAUTIFUL artwork posters that I purchased from you!!! I received them yesterday, and was totally BLOWN AWAY by the beauty! I cant wait to have them framed... I know I will have many compliments... I will surely buy again from your site! Blessings!! The quality of your products are wonderful, Thank you for making my purchase easy and simple with a smile. Thank you so much for the lovely lakshmi cloth doll. it arrived yesterday--july 26th--very promptly & we are thrilled with the item. Thank you for the last order which arrived safely. Very well packed. I am very pleased. I like this site. this is my second time in fifteen days after I get to know about this site. I recieved my order today & I must say its gorgeous!!! I recieved my package today!! I was almost tempted not to open it just because the packing alone was absoulty amazing and beautiful!! But I couldnt wait to see the suprise inside, it was absoulty amazing!! The paintings were beautiful I can\'t wait to display them in my home along with the beautiful Ganesha! Thank you so much!! It made my day!!! I can\'t wait to tell everyone about your amazing pieces of art!!! Your website is really great and reliable. Thank you. The selections is beautiful and very hard to choose from. I love the pictures you have available for sale. Simply exquisite. Thank You so much, Ganesha Painting and Ganesha Incense Holder are so beautiful, very nice birthday gift! Beautiful things...glad I found you website. Thankyou i have receive the order i really liked it thanks for packing so beautifully good doing bussiness with you people. I had a wonderful time shopping on your website. Where have you been all of my life! I love the jewelry, it is so unique. I will be shopping with you for a long time. I am glad to inform u that the item I have ordered has been delivered in perfect condition. I am very pleased with your service and will continue to purchase more items in future. Thank you so much for the safe and fast delivery. Thank you for the update, and for a great service! The kurta is really beautiful, I'm so glad I ordered it. My beautiful Saraswati arrived today in perfect condition. Your service was so prompt one would never know she was shipped from halfway across the world. I have already submitted an order for another sculpture. I received the items which i ordered with you on the 28th June,2006 today. I am very pleased with the items that i ordered as they were a gift for my Girlfriend. I thankyou for the speedy delivery and the excellent service you have provided and i am sure to use your website again. I am sure she will really love the items. Your assortment is great and very inexpensive! Hi i just received my order and i have to say im am really satisfied. This painting has got to be the most beautiful ive ever seen. i love the colors and the details,i will definetly buy from youre company again.I will also refer my friends to check out youre website they will love it. Its always a pleasure shopping here. My order is always complete and comes in a timely manner. I appreciate that I can shop here. This is a lovely website. I just wanted to say it was a pleasure to order from your company! The Hanuman Statue was just beautiful. Our friend was so happy. You should know your delivery service is wonderful and very quick. It was probably faster than anything thing I have bought in the states. If I need anything else I know where to order. I received the shipment. People at Dolls of India are doing a great job - probably the only Indian web site that is very competent, professional and reliable. Please keep up the good work. I am writing to thank you SO MUCH for processing my order with such speed! I received my Bindis yesterday and am thrilled with the quality and beauty of them. I leave for a Templar pilgrimage on June 4 so am glad they came in time so I can take them with me. They will be an important part of our ceremonies that we will be conducting as we travel through Europe. So, we take with us your beautiful energy. I wish you prosperity and good fortune. Your hand painted Kurtas are beautiful. I would like to see more examples of this item when they are available. I certainly will enjoy wearing it! I found this page on internet and I love it. I will be delighted if you sell more kurtis to wear with jeans. This is an awesome and beautiful website! I love it! A pleasure to shop at your store....thanks!! The Cowrie Door Hanging is just the perfect gift for a friend of mine. Thank you very much for having this item available. Cool collection of colorful clothing!!! Thank you so much. At least there is one business in India that ships to the United States and makes available dolls I can not buy over here. Since my first purchase of Radha Krishna-the Divine Lovers, I have always kept your web address in our mandir. I try to keep business within companies that are of the Divine. Thank You for your service and your store. I visited your website and I think you site has some really good stuff. The first order I placed with you arrived safely yesterday. The necklaces are beautiful and I'm very pleased! On a personal note: The box arrived wrapped in unbleached muslin and sewn shut - very cool! A long time ago, a bought a shirt - which I really loved - that was made in India. Yesterday's package smelled just like that shirt did! I was immediately reminded of the shirt did ! I was immediately reminded of the shirt and, for a moment, I was young again. I paid for the necklaces, but that moment was a real gift, for which I thank you very much. :-)) Looking forward to this next order! I received my order a couple weeks ago. The jewellery is beautiful, thank you! I will definitely be recommending your site to my friends. Hello! You have a beautiful site. I came across your site recently and thought it was excellent. You have tried to incorporate all the aspects of Goddess Durga which deserves special praise. I just saw your site today and was very much impressed. I came across your internet site. I was really impressed of its design and easy to use navigation! My first impression on your online shop is very positive and this is why I think your company might be the right choice to write a case study. I wish to thank you very much for this well-written article. I have been reading web site after web site to gain information on Ganesha and your one article has given me more understanding than all the rest combined. Thank you. I just happened to chance upon your website and have been reading all your articles since morning! All the articles are fantastic and convey Indian ethos quite strongly. I really appreciate this. I being a person who vouches for indianism, feminity, indian culture found your articles highly invigorating. Simple yet astounding!!! Fall short of words :-) Expect more of this kind ! Hello- I just wanted to let you know that I received my order and was most pleased with it. I was very impressed with the care that was taken in assembling the package to ensure it's safe arrival, and the bracelets and necklace are beautiful. I will shop with you again in the future and will be sure to recommend you to friends. Thanks again! Thank you very much for the prompt delivery of my order, I received it yesterday. It is very beautiful. Hello - I've made a couple of purchases already from your site, and I've been VERY happy with the products and with your service. Thank you. I enjoyed shopping with Dolls of India, It was very easy and I love all that I bought. I found many of your products to be very charming and I loved them! I will return to your site shortly, thank you! The Beautiful Radha Krishna dolls arrived this afternoon. We are so pleased with them. The love and craftsmanship your artiste uses to create these dolls could only come from her soul. Thank You so much. The dolls careful packaging insured their trip to Alaska to be a safe one. Thank you again and please thank your artiste for us. I have received the order from your store. I am very pleased with it, the items are beautiful. I received my wonderful Barbie doll today and I absolutely love her. She will be a treasured addition to my collection. Thank you so much for ensuring that she was packaged so carefully. I will be taking the doll with me to my Barbie club meeting next month to show her off. Please extend my thanks to the doll artist that dressed this doll for me. Thank you. I received the bracelet today. very nice & wonderful sewn packaging. Today,I had received goods which I ordered. It is very fast delivery and very good quairty. Today I received shipment of this fine order. The Choker set, Anklets are very wonderful! The Hair Clip, (which I see your now offer in various jewelry, Jute style) I gave to a most dear and long time friend. She is very happy with it and it goes very well with her hair colour. Your dolls are so exquisite. All of your products are very beautiful. India must be a land of splendor. I have never seen such talented artists who create these works. All items are most wonderful as I always receive from you. It is always a joy to receive your shipments. Your products are beautiful. Your country and culture are gorgeous. I would like to order many of your products. The dolls are so beautiful. Really excellent web site. Will definatly be using it again. If you get anymore cowrie jewelry please make sure i am the first to know. Today we received shipment of this order. The earrings are very well crafted and are quite beautiful. I believe a friend of mine will soon be purchasing the dolls: Radha Krishna~the Divine Lovers, YM 21- I believe is your stock number. She saw mine as you have posted and fell in love with the beauty and craftsmanship. Thank You. My package is here at my post office as of yesterday! I cannot believe it. Thank you for such great service! I received my dolls and I am very impressed with the artistic work. Thank you. I absolutly love your customized barbie's. I look forward to getting your beautiful products. Your designs in jute jewellery are new and excellent. Thankyou very much for shipping the doll to me which i recently ordered. It arrived undamaged, good condition of packaging. I was really impressed with the goods, i am sure my daughter will love it to. My order arrived this week. I offer my humble thanks for the delivery of this precious work of art. Namaste! I would like to let you know that the dolls have been most happily received and are very, very beautiful. I felt a holiness even as I was unwrapping them (and they were wrapped most carefully!) A big thank you to the women who so carefully sewed these dolls, and my thanks again to you for making them available. I received the two dhokra figures yesterday; and I have nothing but praise! Swiftly delivered and expertly packed. The contents- the two figures, are absolutely exquisite, I wish I could congratulate the artist in person! These stand as testament to me of the very high quality of your merchandise. Your personal attention too has been first class, and I thank you for it! I received my Bengali doll very quickly and I wanted to congratulate you for this velocity and for the way the doll was packed. The doll is beautiful, she is gorgeous. We find your site interesting. We are interested in buying some of your dolls for our personal collection. I just wanted to thank you for the beautiful Bharat Natyam Doll that you sent to me. She was everything I had hoped for and more. She was a gift for a good friend and she was well-recieved. Thank you. I have just saw your site and am very much interested in ordering products from your site. We would like to feature your work as an cloth doll artist, if you are interested in being included. I have visited your website, it is very well done. Your site is beautiful & so are the dolls. Was facinated by your site and products. Would like to know the sourse of these products. I like this site very much & i want that u give more information about, how to perform the dance & on which ocassion it should b perform. I really love some of your dolls! Thank you for your update and kind msg. The Shola Pith dolls are very nice. I Am especially attracted by the large Goddess Saraswati and the head of Maha Kali. All the Best! Namaste. Thank you for your concern. I did recieve the doll and she is absolutley beautiful. Thank you so much! Your website is very nice! I look forward to receiving my bindi and I'm looking at all your beautiful saris for my next order! The products look wonderful, the service, very quick feedback and response, very impressive. Your service is unsurpassed. The quality of your products is exceptional. Just a word to let you know that I just received the painting reproduction and that I am very happy. Thanks for your concern and I wish take this opportunity to wish you as well as your family and your friends, a very good new year 2005! May health, happiness and wealth be with you all year long! Quick delivery marvellous quality and mind boggling variety - I'll keep coming back to this place forever !! Keep up the good work !! Your product range is absolutely marvellous. I love your products - especially your dolls. Would love to feature all your dolls in my living room.